Last week, Ethiopia’s ruling coalition party extended an olive branch to Eritrea that could see an end to the longest-running conflict in Africa. 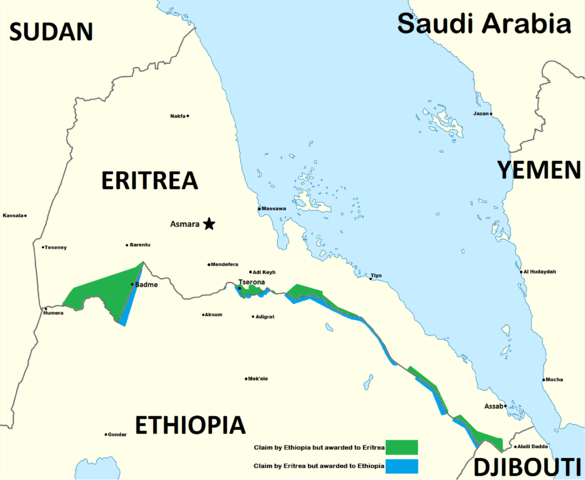 For sixteen years, Ethiopia has refused to withdraw troops from disputed areas along its border with Eritrea, including the small town of Badme which was ruled as being part of Eritrea in 2002 by the Eritrea Ethiopia Boundary Commission (EEBC). Badme was the focal point of the Eritrea-Ethiopia conflict, which stems from Eritrea’s independence movement when it was a part of Ethiopia, prior to gaining independence in 1993. Ethiopia’s reluctance to withdraw its troops from the town has led to Eritrea accusing the country of forcibly occupying its territory and the government has routinely called upon the UN to enforce the “final and binding” EEBC border ruing it backed in 2002. For most people familiar with the long-drawn conflict between these two neighbouring countries, Ethiopia’s public reconciliation efforts are a landmark and thoroughly positive step – particularly for the interests of Eritrea. Now, it seems the town of Badme may finally return to Eritrea and the two countries can work on building mutually beneficial bilateral ties. However, there are certain Eritreans who are resisting Ethiopia’s new peace effort – those who live in the town of Badme itself and insist it rightfully belongs to Ethiopia. Those in Badme who are resisting Ethiopia’s decision to abide by the 2002 EEBC border ruling don’t consider themselves Eritrean at all. Many of the town’s 15,000 residents are veterans or relatives of those who fought on the side of Ethiopia during full-scale conflict between 1998-2000, which killed roughly 20,000 Eritreans and more than 50,000 Ethiopian soldiers. While the world is commending Ethiopia’s new prime minister Ahmed Abiy and his decision to abide by the 2002 border ruling, a large percentage of people living in the town that will be handed over to Eritrea are entirely against it. These are people who risked their lives fighting to keep the town within Ethiopia’s borders or lost family members who sacrificed everything while fighting for the Ethiopian government. For these people, Eritrea is a bitter enemy and now Ethiopia – the country they fought so bitterly for – is the betrayer, handing them over as geopolitical collateral. Injured veterans and bereaved family members in the town are voicing their anger and many have warned there will be violence if Ethiopia attempts to hand them over to Eritrea.